Medical Equipment Distributors provides the best quality products and services available. We provide in-home demonstrations and also have a 3000 Sq Ft. showroom stocked with the latest home medical equipment. As your needs change, our professional staff with over 20 years of experience will help you adapt and assure that your completely satisfied with your products. Our service department is available 24 hours a day for rapid response to your call! 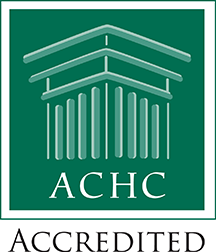 Medical Equipment Distributors, Inc. has been awarded a Certificate of Accreditation by the Accreditation Commission for Health Care, Inc. (ACHC).